The bedroom is a space that has many functions beyond just housing a bed. for many people nowadays, more time will be spent in the bedroom than in the living room or kitchen. With many now finding laptops and iPads their preferred devices for working, watching, reading and listening, it''s fairly common these days to take these activities to the bedroom, whereas as recently as 10-15 years ago they would have taken place in the living room in front of the TV or on a desktop computer. It makes a lot of sense to use the bed as a workstation or private cinema; after all, it is probably the most comfortable item of furniture in your home. But as the function of the bedroom has evolved, so too have the requirements of the space. If the bedroom is the new hub of the home, it's necessary for it to be more decorative, to have more storage space, to have more possibilities. And yet it's still unlikely that your bedroom will be larger than your living room or kitchen. In many cases, the bedroom is a very compact room; but that doesn't mean it's going to be used any less. Fortunately, there are plenty of designers happy to rise to the challenge of creating bedroom furniture and storage that does more. Here are just a few multi-functional bedroom bits and pieces that could help to make the most of one of the home's most important rooms. 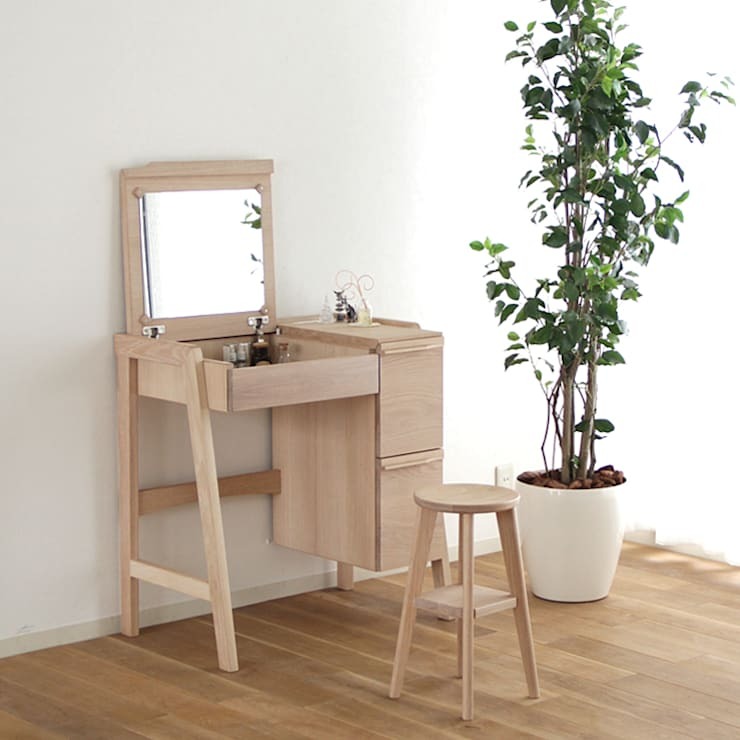 The mirror on this ingenious dressing table folds down, transforming it in an instant from a classic item of bedroom of furniture to a smart, functional, minimalist workstation. This dual personality has another important function as well, meaning the stereotypical feminine associations that go along with a dressing table can be quickly neutralised by simply closing the lid. There are plenty of people, both male and female, who may want a dressing table, but who would reject the very girly styles that this type of furniture often comes in. This is a simple, neat option that could appeal to a whole host of different tastes and preferences. Do you have an item of clothing that deserves so much more than a life of obscurity in the back of your wardrobe? OK, it might get the chance to shine on those occasions when you put it on and take it for a trip outside the house, but you've always felt that it ought to have more attention than that. If it can decorate your body so effectively, surely it could also make a great decorative feature for your house? Fortunately, the people at Sazonova Group realise that some clothes are too beautiful to hide. They've designed this shelf not only to hang clothes—giving you the chance to show off that beautiful dress, if you want, or simply to handle some overflow from your wardrobe—but to display pictures and cards. Up close, we can see the mismatched china handles, which add an extra dash of prettiness to this already exceedingly pretty piece. If you love the handles but aren't going to splash out on this particular piece, it's worth noting that handles like these ones can be bought individually from various online and offline retailers, as well as from eBay. 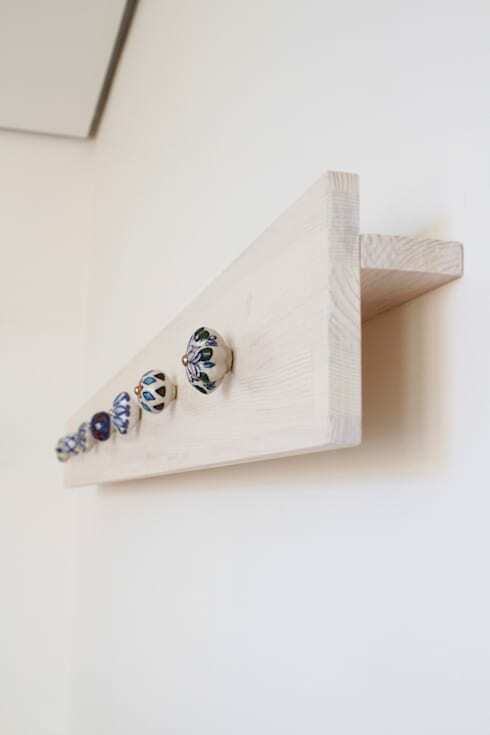 They're easy to screw in and can jazz up even the dullest wardrobe or chest of drawers. Dividers are a bedroom staple, and this is particularly true if you happen to live in a studio apartment and need to section of different areas of your home. These clever blocks allow you to build your own divider, which also doubles as a bookcase. Bed is probably the second most popular location for reading (after public transport), so it makes a lot of sense to incorporate your bookcase into it. 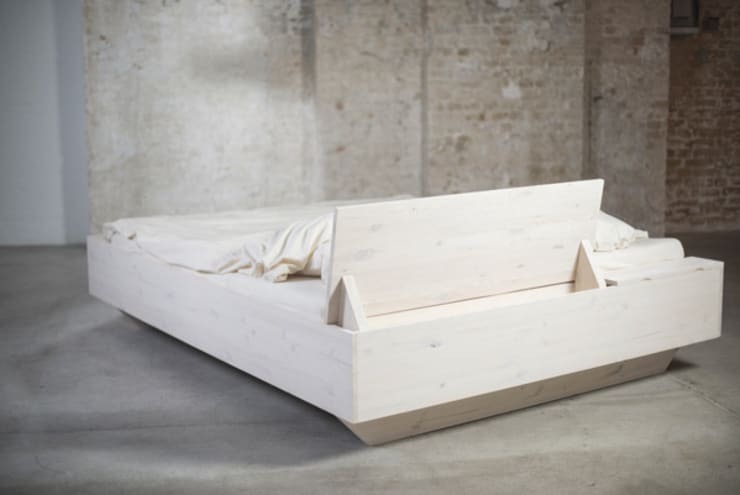 This bed does exactly that. In addition to being practical and leaving your reading materials within easy reach, it's also decorative; a row of books is a beautiful way to bring colour to a neutral room, and a collection of bright spines would look wonderful against the white background of this piece. 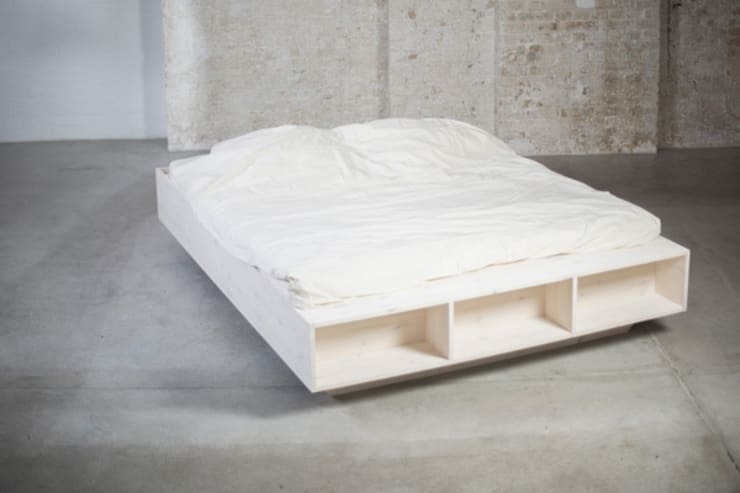 Because one type of storage just isn't enough, the head of the bed also open into a chest.